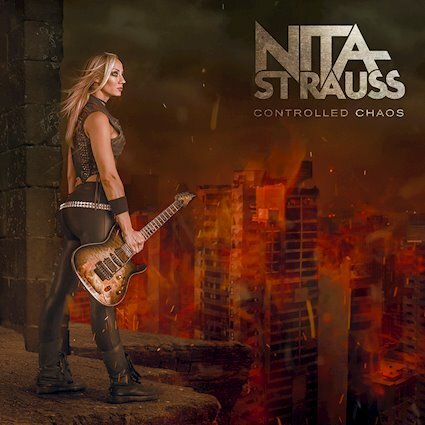 Nita Strauss, guitar player for Alice Cooper, is going to release her first solo album ‘Controlled Chaos’ on November 16. It’s an instrumental album with eleven tracks, of which ten are original Nita Strauss songs and one is a Queen cover. If you don’t usually listen to instrumental records, then maybe it’s time to rethink it! 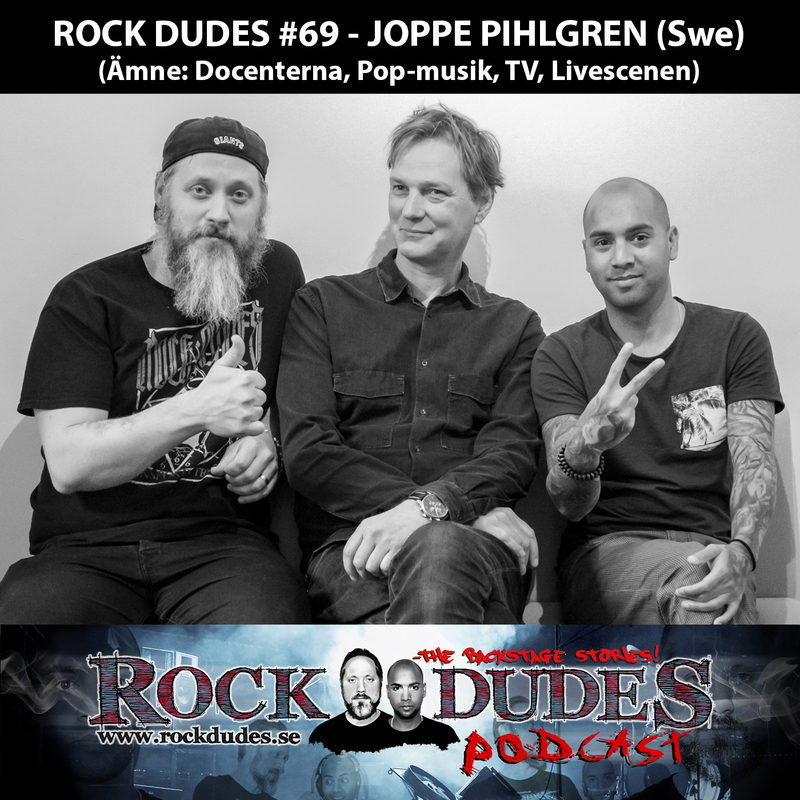 Rockbladet’s reporter who got to listen to the record is really impressed, and can strongly recommend it. Strauss is known for being a very talented guitar player on stage, but she is also one of the most sought-after clinicians in the industry, and she is the first-ever female Ibanez signature artist. 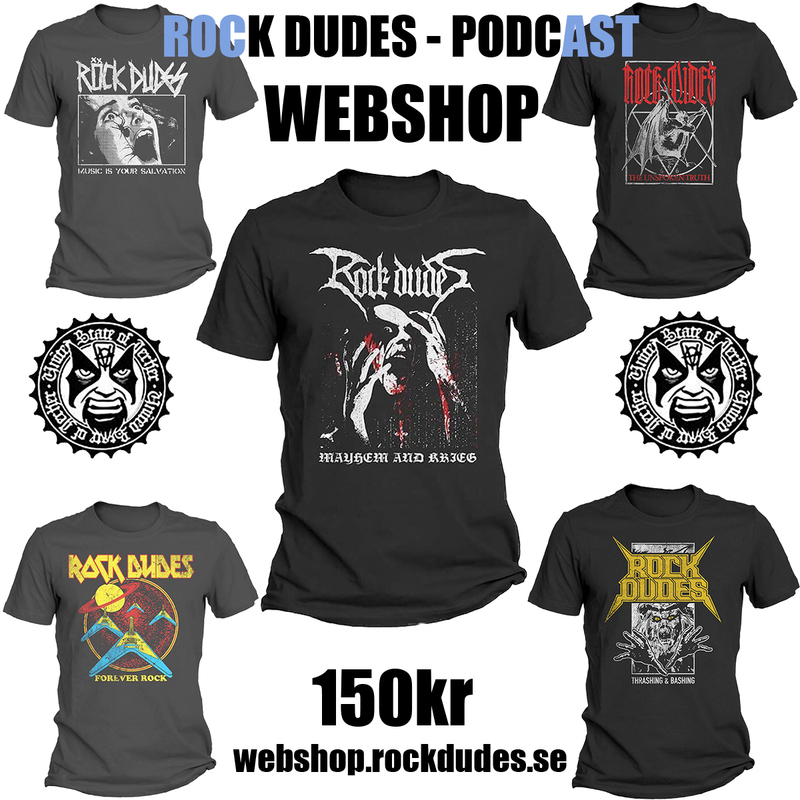 By the way, did you know that Nita Strauss has a very famous ancestor, and that Scandinavian metal bands are among her favourite bands? 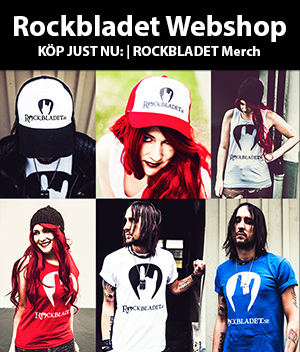 Rockbladet talked to the friendly guitarist about a few different things things, including her upcoming album and touring with legendary shock rocker Cooper. Your first solo album is going to be released very soon. What inspired you to do the album and what can you tell me about it? The album is coming out on November 16 on Sumerian Records. The first tour starts November 19 here in the States, and then I hope to bring the tour over to Europe in 2019. You have already released two singles and videos, ‘Pandemonium’ and ‘Our Most Desperate Hour’. What are the reactions so far? - It’s been incredible! As a hired guitar player for most of my career, I’ve always had the feeling that maybe people don’t care about my music. That maybe people only care because I play with another artist that they like, and that maybe if I say I’m going to put out my own music, people would just react by saying “No, we just want to hear you play Alice Cooper songs! We just want to hear you play Iron Maiden songs!” You know, “Just play the songs that we like!” So, to have the reaction that I’ve had from the fans, from the metal community and from the rock community, which has just been really overwhelmingly positive, that’s really exciting for me! The song ‘Pandemonium’ is on the compilation album ‘She Rocks Volume 1’, so was it written before you decided to put your soloalbum together? - Yes, it was! The way that it all came about was actually that my hero, Steve Vai, asked me if I could contribute a song for this compilation album for his label, Favored Nations. Of course, when your hero says “Can you contribute something?” you say “Yes, of course, definitely! I’d love to!” Then I realized I had no song to contribute. (Laughter) So I immediately sat down and wrote and recorded Pandemonium. Once I completed that song I realized that “This is something that I actually can do!” I realized that it wasn’t just a dream, not just something that I maybe, someday will be good enough to do. I realized that I actually can do it now! That was what sparked the fire, and six months later when I found out that we had this break of time, I really set the plan in motion. Your album is called ‘Controlled Chaos’. How did you come up with the name for it? - Really, I think that the world is a chaotic place, and being inside my mind certainly is a very chaotic place! I think that the only thing you can do is to control the storm that goes on, and harness it. Use it for something that is good and beautiful rather than getting swept up in the storm and letting it control you. Did you write the songs all by yourself? - All except the Queen song, I didn’t write that one! (Laughter) But yes, everything else I wrote, engineered and produced myself. That’s very cool. So you produced them as well? - That’s right. I had a really strong vision for what I wanted with this record, and that’s one of the reasons why I didn’t have a lot of celebrity guests or a celebrity producer. This time I just wanted to have my voice and my visions come across, and not have any other influence on it. Maybe the next time I’ll approach it a bit differently, but for my first record I just wanted to stand on my own two feet, and have it just… be me! What other musicians are playing on the album? - I played all the guitars and bass, and actually my boyfriend Josh Villalta played the drums. Katt Scarlett played all the keys on the record. I had her in all my bands for over ten years, because she’s just an incredibly talented instrumentalist. She’s Berkley educated and an incredible piano player. The only special guest was Tina Guo. She played the cello on The Show Must Go On. Tina is a ridiculously talented classical musician who’s also very involved in the rock world, and I’m really lucky to have her play on that song. It’s a real, acoustic cello, and I think the instrument that she used is like over a hundred years old. It’s a beautiful sound! About ‘The Show Must Go On’… How did you decide to do a Queen cover? Obviously the song was recorded to be sung with lyrics, so I wanted to have another musician on it that would understand my approach to that song. It was a really personal thing, and Tina Guo has experienced that as much as I have myself, so I’m glad I had her to play on it. That song has always been so meaningful to me, and that’s why I wanted to include it on my album. Speaking of composing music, I’ve heard that the legendary composer Johann Strauss is actually an ancestor of yours. Is that true? - Yes it is. You know, I’ve had music in my life all my life. My dad is a musician and my dad’s side is the Strauss side. All of his family have all been in music, so it’s nice to continue on the tradition. You are currently on tour with Alice Cooper, and you have been part of his band for four years now, right? - Yes, for a little over four years. What was the first show with Alice like? How did it feel to be up there on the stage with him? How do you prepare before heading out on stage? Do you have any pre-stage routines? - You know, the most important thing is so boring. The most important thing I do is stretch. So many guitar players just stretch their fingers and they think that that’s enough, but it’s so important to stretch not just your fingers but your whole hand and your whole arm. Actually I stretch my whole body as if I’m an athlete going to a work out, because I’m so active on stage. If I don’t stretch my legs and my shoulders and my back and my neck, I’ll be a mess after the show! Two or three shows of being lazy and not stretching, and I’ll walk like an old woman. (Laughter) I have to be very diligent and careful with my stretching before and after the show. I guess that while you’re doing so, you’re also mentally preparing yourself for the show? - Yes, definitely! At this point, playing with Alice is almost like a meditation, which is funny to say because it’s a really high energy show. But you know, we know the songs so well, the band are all such great friends… There is not really any stress or nerves involved at all, it’s just very calm and very fun. We have a great time doing what we do, and there is not any nervous feeling like “Oh, I have to go on stage soon!” We’re like a machine, we know exactly what we’re going to do and how we’re going to do it, and we just go out and execute it! Yes, you really seem to have a great time together while you’re on your! - We do! On stage we’re always laughing and joking. You know, there are so many things that we say and do to each other that the audience probably doesn’t even notice, but we have a great time! Alice is really amazing to work with because he’s such a normal person. There is no crazy drama ego like you hear about with so many other singers that are at his level. He is so humble and so down to earth, and so easy to be around. He’s just an inspiration to me because I’ve never seen him have a bad day. I’ve never seen him be rude to fans or anything like that. He’s always very humble, very low-key and very grateful for the blessings that he has in his life and his career. That probably plays a big part of the longevity. I mean, he has been Alice Cooper for fifty years now, and how many people can say that? What is your favourite tour memory so far? - It’s all good, but I guess playing at the Hollywood Bowl was really special for me. I’m from Los Angeles and before I actually got the job with Alice Cooper, I was online looking at tickets to go and see Alice Cooper and Mötley Crüe at the Hollywood Bowl. It was my home town, and I thought that I might not ever get to see Mötley Crüe in Los Angeles again, so maybe I should go and see this concert. Three weeks later I was in the band and I was playing that show! That’s where I went to see all my concerts when I was growing up. That’s where I saw every big band for the first time. I bought my parents a nice box to sit in so they got to watch the show, and it was really, really exciting! It must have been an amazing feeling to be on that stage yourself! - Yes exactly, I remember going to shows there since I was a baby! They have a big lawn there and you can bring the family and have a picnic. They would have kids’ concerts and they would have bands come that were children friendly, so literally from the time I could walk, I’ve been going to see things on that stage. So, getting to play there myself was just amazing! Do you think there is a difference between being a female guitar player and a male guitar player? - I think you have to prove yourself a bit more, definitely. I try not to generalize it too much like that, but when it really comes down to it, no one looks at a male guitar player when they step on the stage and think “That’s not going to be good” It just doesn’t happen, there is no reason for it. But as a female, each time you step on stage in front of new people, you have to battle the stereotype of “Is she going to be good or is she not going to be good?” which doesn’t happen for men. As long as you are okay with proving yourself and time and time again show them that you deserve to be there, I think it’s a great place for a female! Yes, and maybe you’re inspiring girls to start playing guitar! - I think it has happened, which is really amazing! It’s wonderful, and it’s definitely not just me either. There are so many amazing female guitar players out today, and not just the well-known ones like Orianthi and Jennifer Batten, but you know, Nili Brosh, Gretchen Menn, Courtney Cox, Yvette Young… There are so many phenomenal newer female guitar players coming out that it’s just a joy to be a part of this new wave! What kind of music do you listen to when you’re off stage? - You know, it’s funny, I’ve always listened to Scandinavian bands! I love Sonata Arctica, Stratovarius, At The Gates, In Flames… I’ve always really been into Swedish and Finnish bands, so that’s the majority of what I listen to. I was just listening to Slaughter of the Soul by At The Gates this morning! That’s great! Finally, have you got any message for our readers? - I’m really excited to come and play for all of you crazy fans out there, because I know that the Scandinavian fans are some of the craziest and most passionate in the world! I’ve seen it first hand many times, and I’m just very excited to come and play for you guys again! Thank you, Nita! It’s been really great talking to you! - Thank you so much for having me! BON JOVI TILL TELE2 ARENA SOMMAREN 2019!